150 x 5 cm, 59 x 2 in. Denis Gardarin Gallery is pleased to announce its second solo exhibition with French conceptual artist Mathieu Mercier. 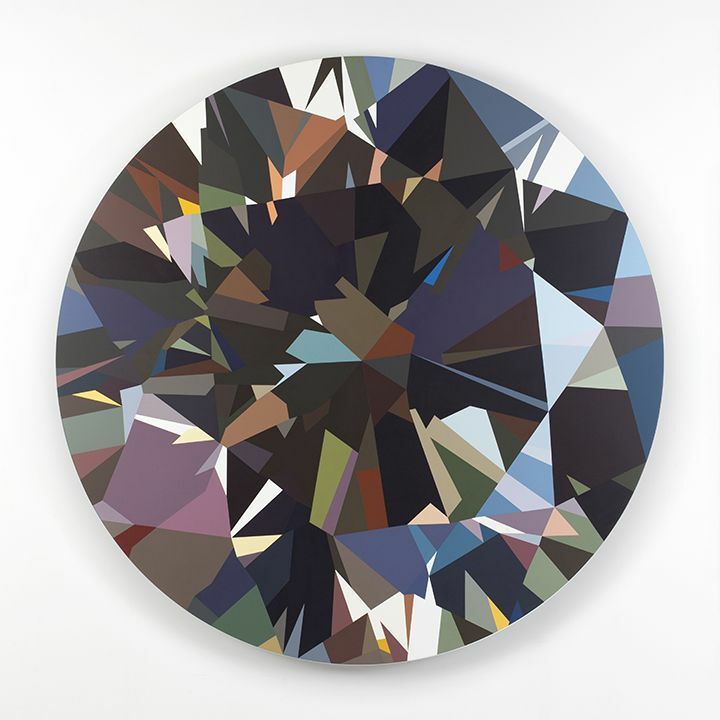 Gardarin will present Mercier’s iconic diamant series of seven new paintings which have never before been exhibited. Building on the Gallery's practice of mounting migrating programs in non-traditional venues, this exhibition will explore Mercier's work within the context of the James A. Farley Post Office in New York City. Each of the seven works will be shown in consecutive rooms on the fourth floor of the McKim, Mead, and White-designed post office building today known as Skylight at Moynihan Station and future home of Fashion Week. The works are true to their title: diamant. 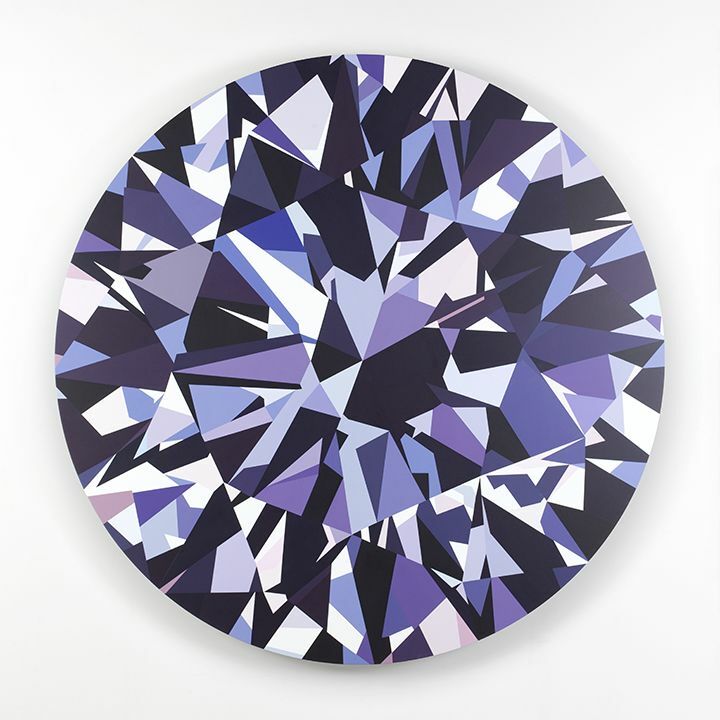 Each looks like a diamond yet simultaneously functions as an abstract painting. The paintings become a sophisticated visual pun, as abstraction is shaped into a representation of pure value. 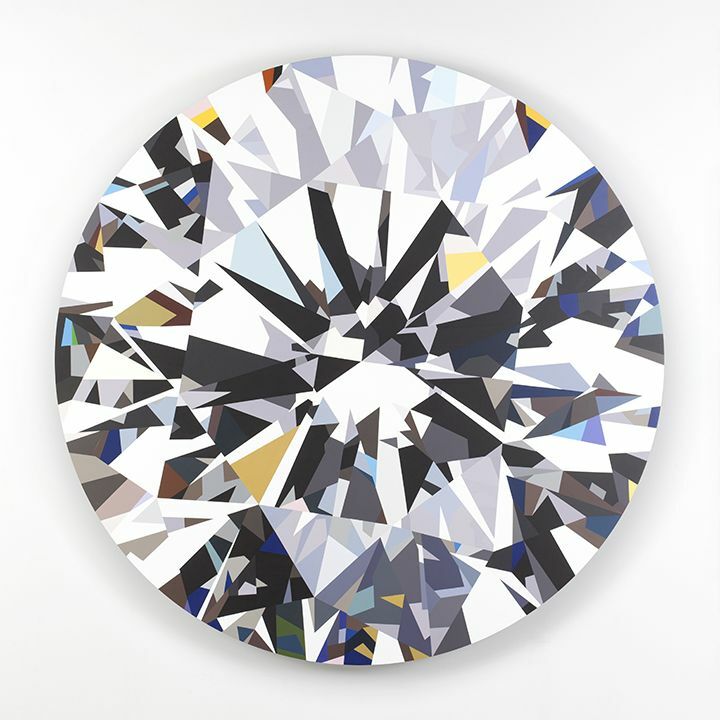 At a time when the international art world descends on NYC for the spring auction season and the Frieze Art Fair, the diamant series can be viewed as a self-reflexive comment on the art market itself – since art objects, like precious gems, are converted into valuable assets through speculation. 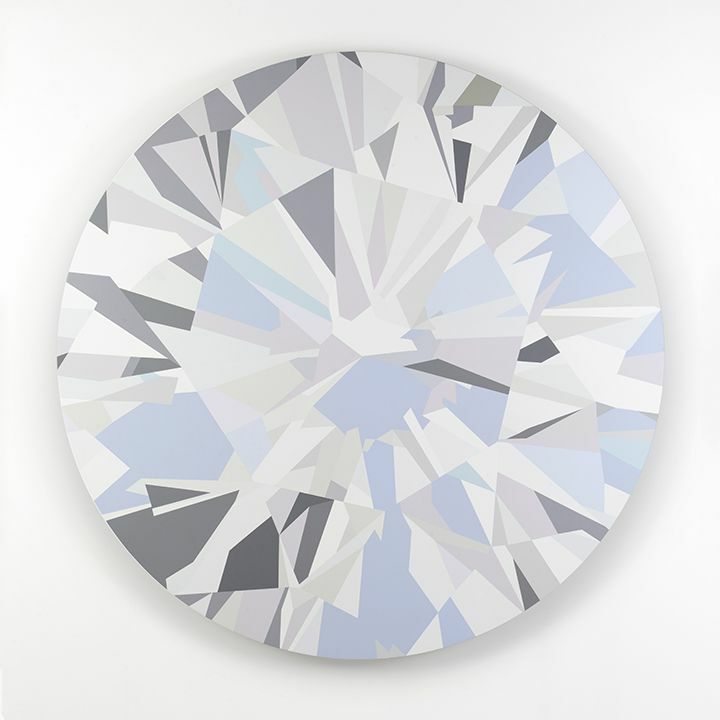 Just as the diamants look like diamonds yet function as abstract paintings, Skylight at Moynihan Station exists within the historic post office and future railway station, but will function as an art space. With this project, diamonds transcend their usual role of representing exclusivity. 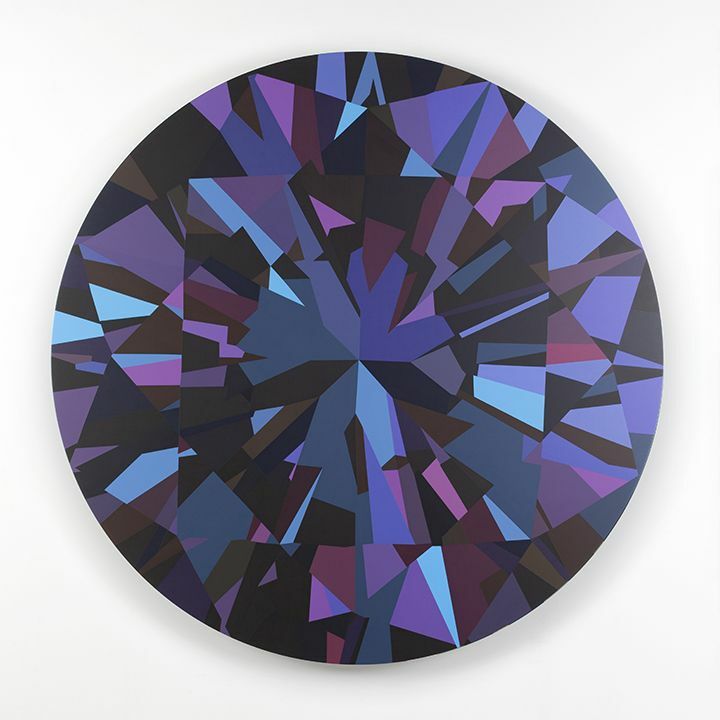 While these precious gems are unattainable and inaccessible to most, Denis Gardarin Gallery’s exhibition has enabled diamants to create access: they are allowing visitors to enter parts of a National Historic Landmark which are normally closed to the public. 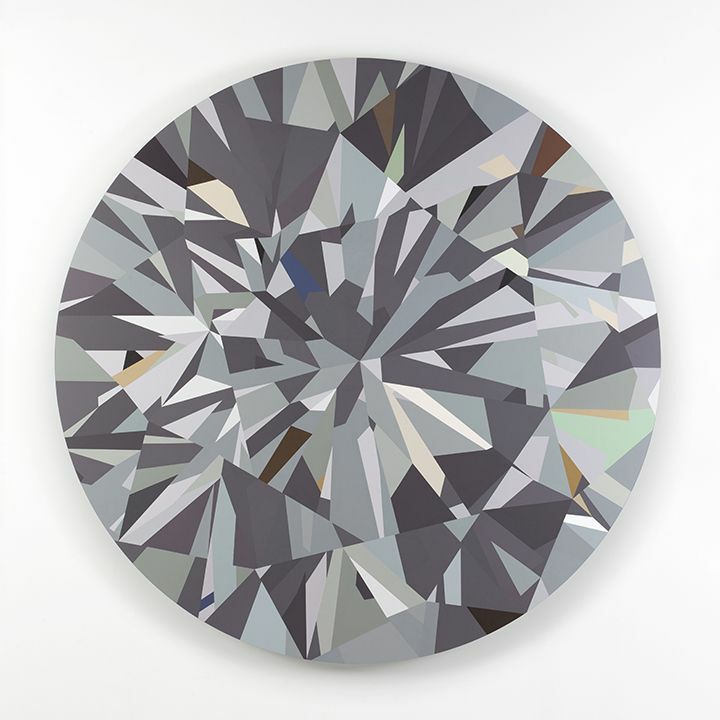 Playing the role of “diamonds in the rough,” Mercier’s works also have a restorative function: their beauty harkens back to the original architectural grandeur and glory of the historic James A. Farley Post Office building. 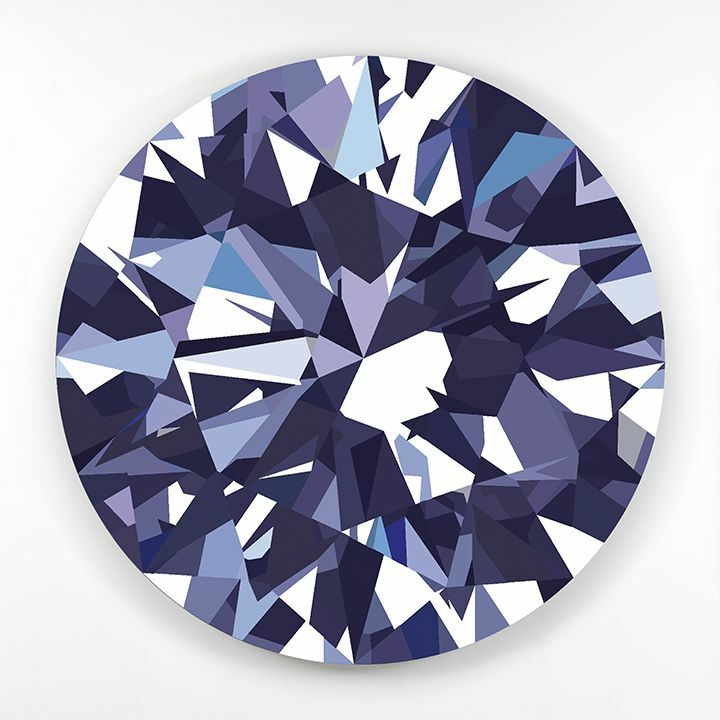 Mathieu Mercier: diamants 2015 will be open to the public May 13th to May 16th from 10 AM to 6 PM. In collaboration with the Cultural Services of the French Embassy.